SPOILERS WARNING. This article gives away important plot twists that happen late in the Hades Arc OVA's. 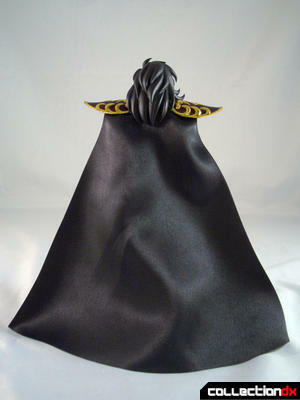 Hades Shun is a Premium release in the Saint Cloth Myth line which means that it was a mail in offer in Japan. Luckily for those of us outside of Japan retailers like Angolz.com get limited amounts of them for sale outside of the Japanese market. Premium figures tend to be characters that don’t feature die cast armor in their design or are less popular so Bandai does a smaller run to fill the pre-order than calls it quits. 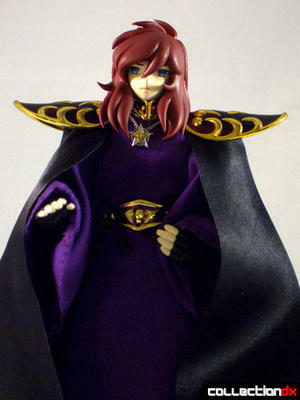 Giving the die-hards a character they want while not leaving Bandai with lots of surplus of less popular characters. 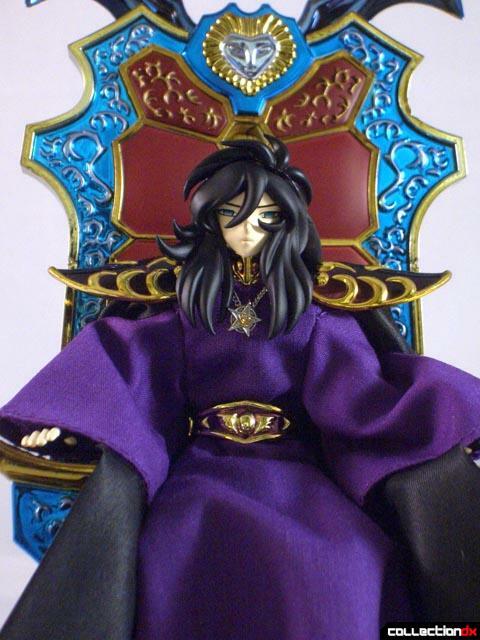 He doesn’t come with much in the way of accessories but the one of the few he does is very impressive looking, Hades Throne. 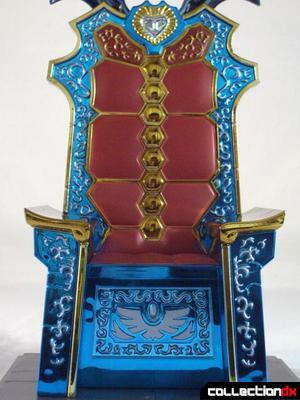 Unlike the Pope’s throne that came with Gemini Saga/Pope Aries, Hades Throne is molded in different colors with intricate sculpting all over it. 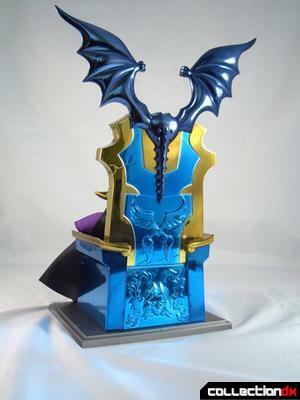 While it is made of plastic the throne is truly befitting of the Lord of the Underworld and has quite a presence on the shelf. Attention to detail doesn’t stop with the throne; Hades Shun’s outfit is exquisitely detailed and looks really nice. 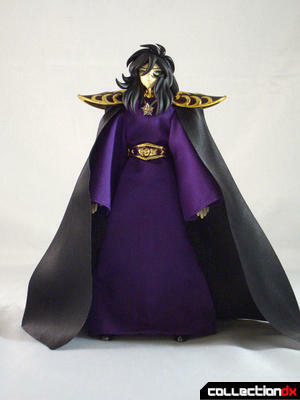 Bandai really makes me wish they did Star Wars characters in this scale out of cloth. Their outfits look “just right” with the cloth looking natural instead of bulky and goofy the way a lot of cloth accessorized figures do. The whole outfit is cloth with the collar, shoulder pieces and belt made of plastic. 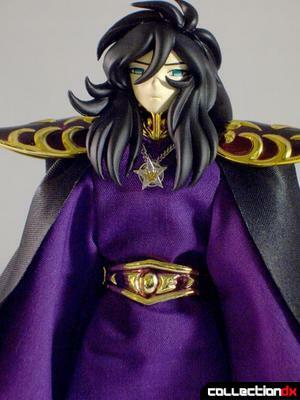 The chain and pendant he wears is made of die cast metal, another nice attention to detail here - the chain is actually linked. While Andromeda Shun is one of my least favorite characters in Saint Seiya, I have become a big enough fan of the series that I did want a Hades Shun to decorate my Saint Cloth Myth shelves (plus he would be nice to display with the fully armored Hades that is likely at the end of this year or beginning of next) and I wanted to be sure to grab him before he was no where to be found. The figure’s body is a standard 3rd generation type with over 40 points of articulation. 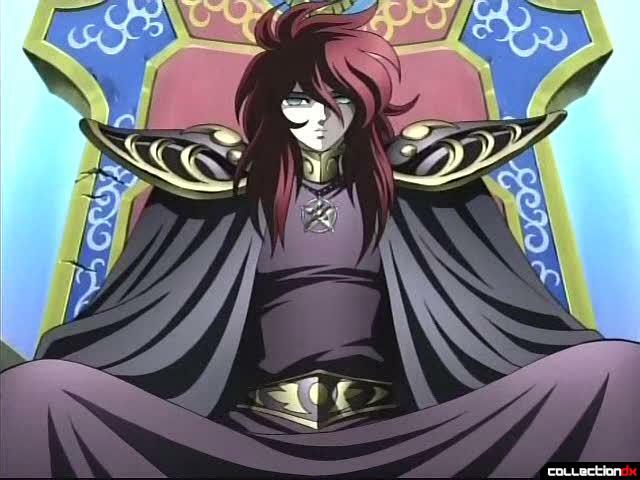 Not that articulation matters as Hades Shun’s brief appearance takes place with him sitting in a throne and not doing much other than sulking and looking dark. For those who are into the armor aspect of this line will want to pass on Hades and non- fans of the show will have no interest unless you have a burning need for a cool throne to accessorize other toys you have. For fans of the show, Hades is a nice addition and I look forward to pairing him up with his fully armored incarnation in the near future. You can get your Hades Shun the same place I did, Angolz.com.